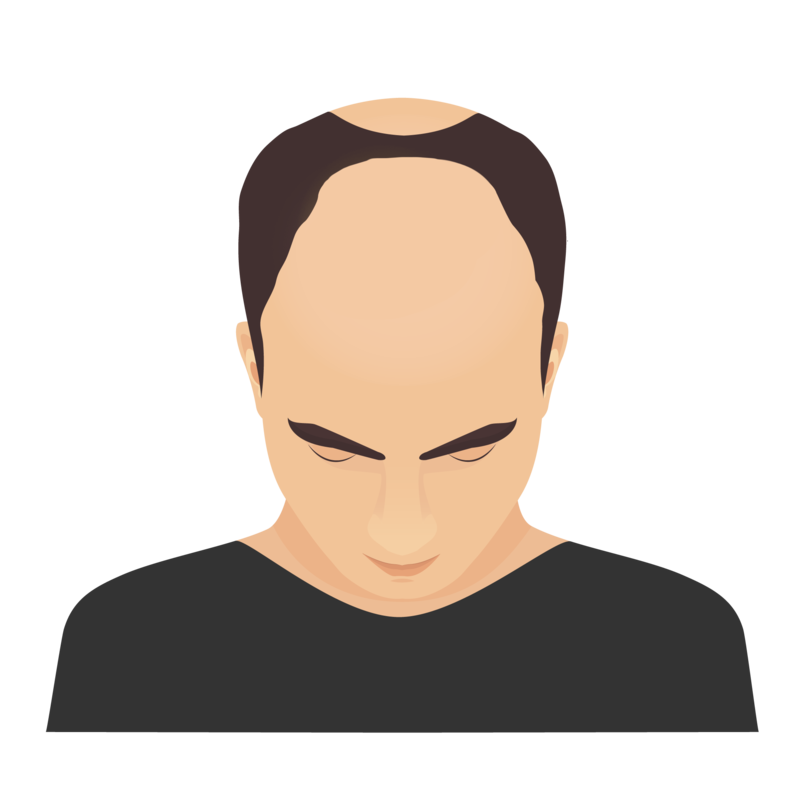 Male Pattern Baldness is the most common form of hair loss in men. 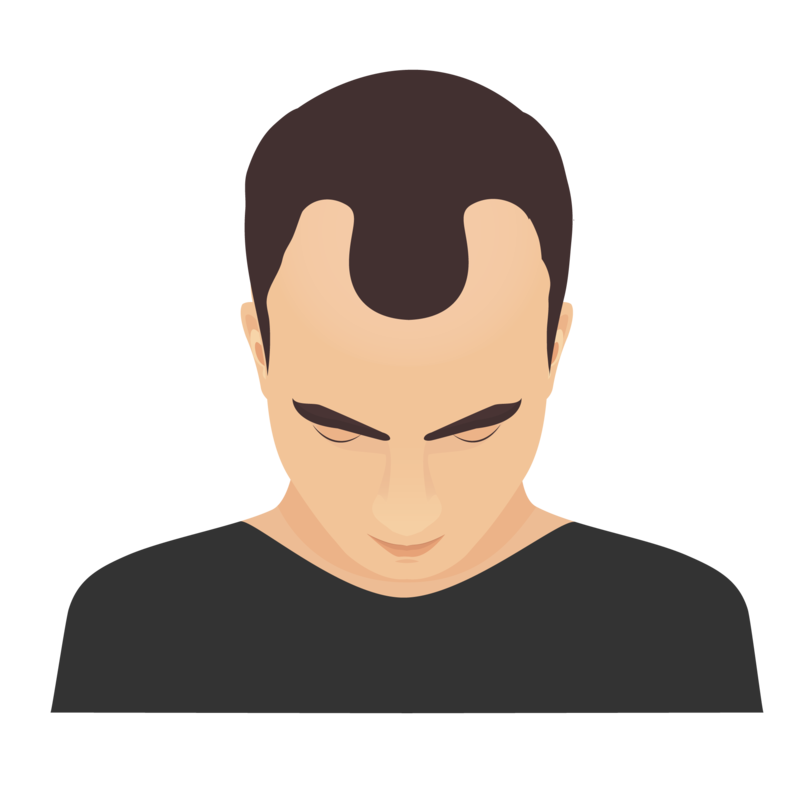 With Male Pattern Baldness, hair tends to diminish at the front, top and crown of the scalp (the ‘non-permanent’ area) but will continue to grow in around the sides and back (the ‘permanent’ area). 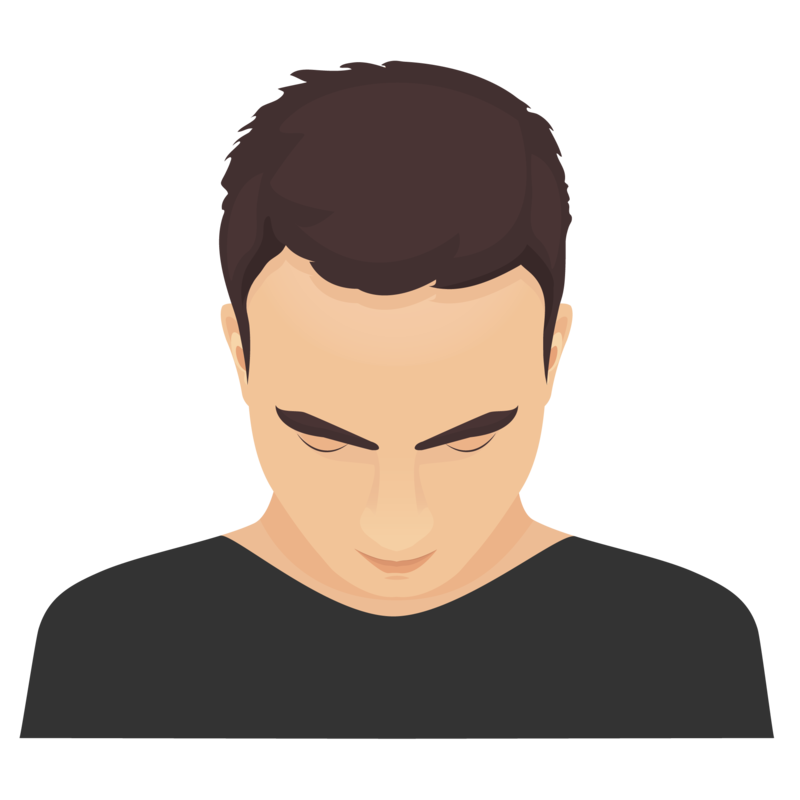 The male hormone dihydrotestosterone (DHT) stimulates the hormone receptors in the non-permanent area, which alters the life cycle of the hair root, therefore prompting hair loss. Ordinarily, the hair cycle consists of a ‘growing phase’ lasting up to 7 years and ‘resting phase’ lasting 3-4 months. 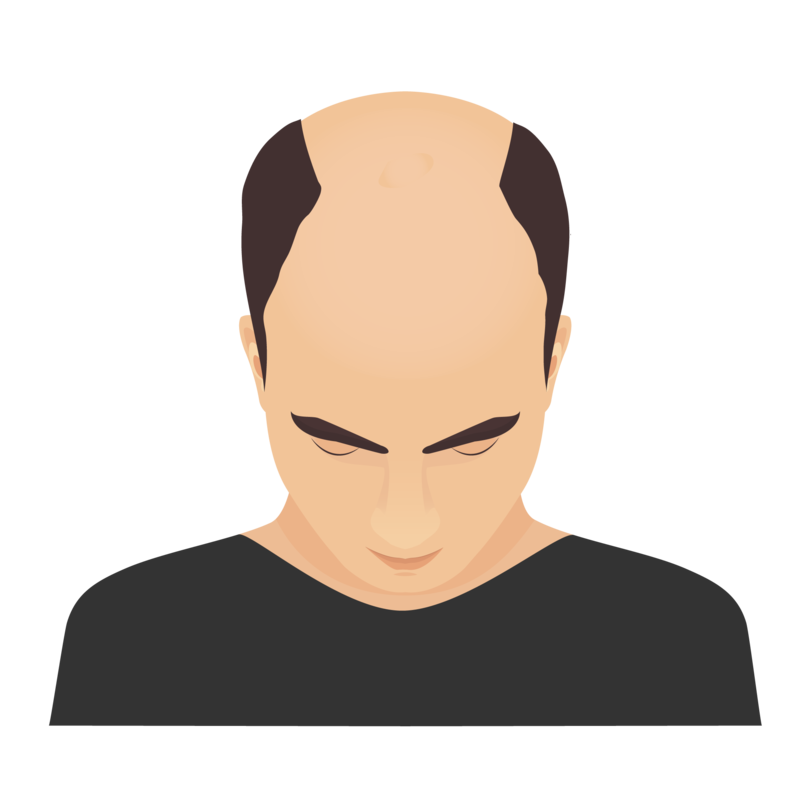 Genetic hair loss switches this cycle around, meaning the growing phase gets shorter and shorter and the resting phase increases. Eventually, there’s very little hair left. 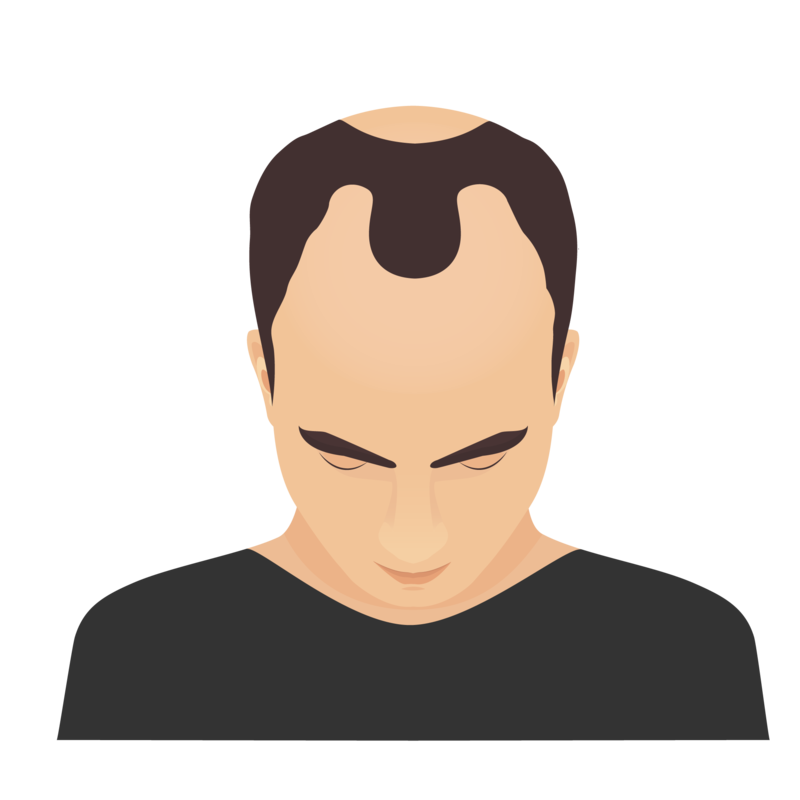 A youthful hairline that has not lost any hair, resting just above the upper forehead. 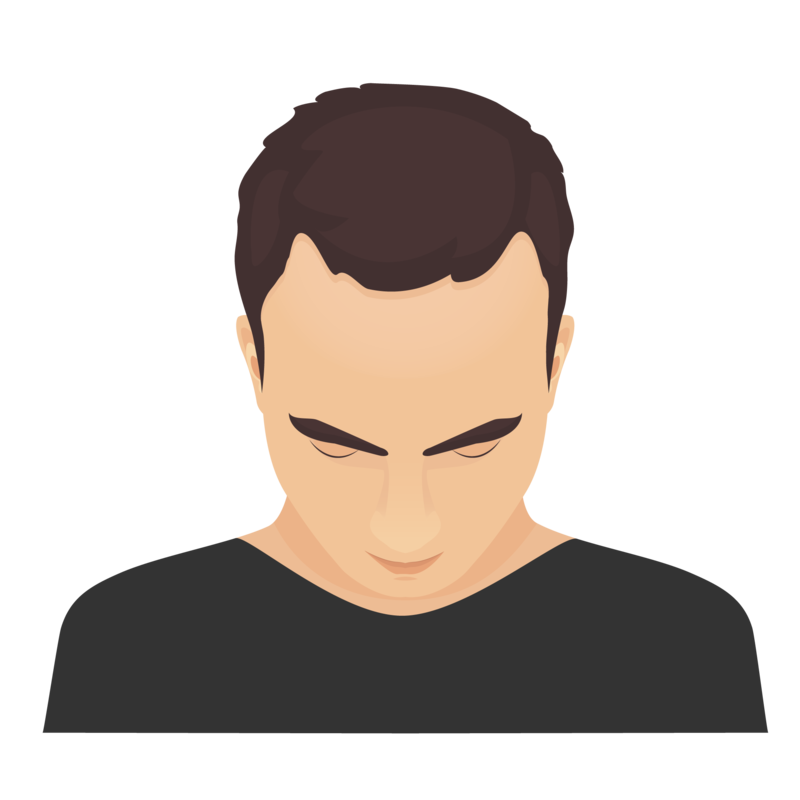 An adult hairline has formed, sitting approx. 1.5cm above the upper forehead crease, with some temporal recession. The temporal recession is increasing to the point of concern. Here’s when you consult a doctor. This type of hair loss signifies the earliest signs of hair loss at the crown. Further hair loss at the front and crown. The gap at both the front and crown are getting larger. The bridge between the two areas is breaking down. 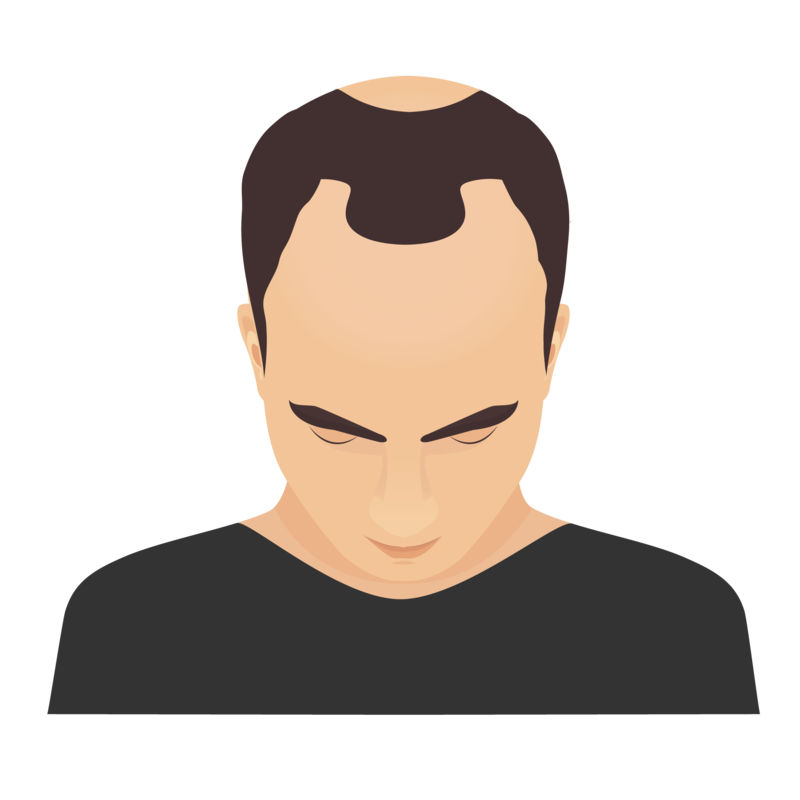 The bridge has now completely disappeared, where a sizeable bald area now exists on the top of the scalp. 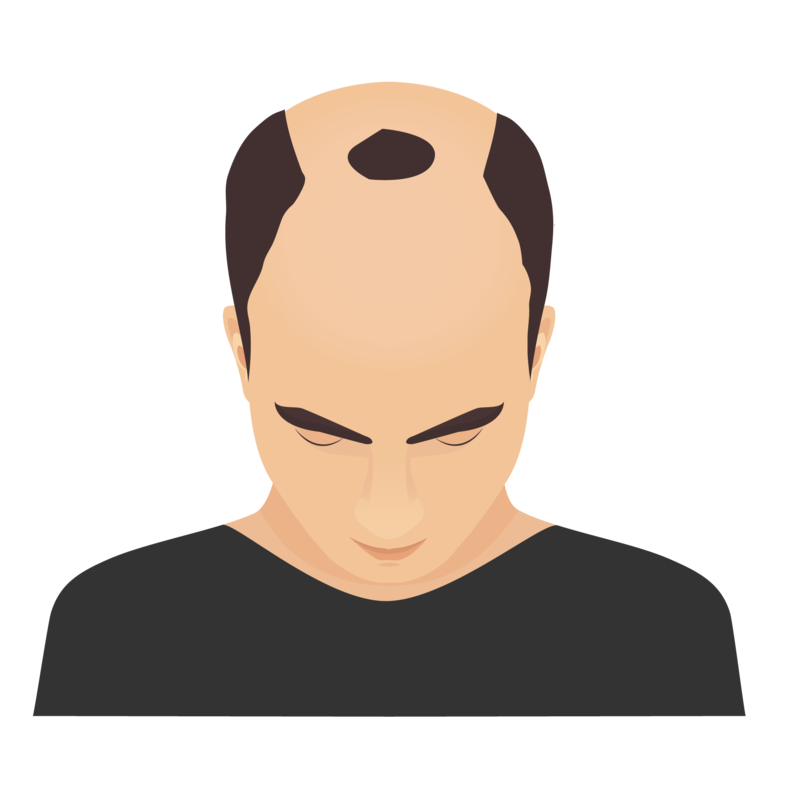 Widespread hair loss with only a garland of hair remaining in the permanent area. Occasionally men suffer from patchy and sparse facial hair. Many now choose to change the shape or density of their beards in order to create the look and shape that they want usually with the desire to have a fuller beard appearance too. To do this hair is taken from the scalp and carefully inserted into the face. Did you know? Facial hair can also be used for scalp transplants too! For some men, sideburn hair growth is minimal. As fashion trends now focus on stubble and trimmed facial hair, more and more men are coming in to thicken the look of the area. Hair is taken from the scalp and carefully inserted, one follicle at a time.